The Sons Of Liberty - Evil is Powerless if the Good are Unafraid! 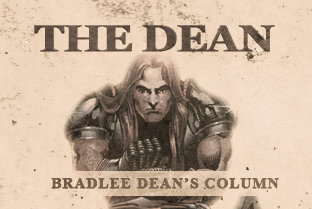 Home - The Dean-Evil is Powerless if the Good are Unafraid! Last week, I was out in the state of Georgia on tour partaking with national leaders at a “Restoring our Promise” conference. I had the opportunity to see with my own eyes the fact that God is now sending foreigners into this country to warn us about the similarities and signs of dictators when they take the reigns of a nation: all of the way from the media’s control, to the pushing of a state-run message over and over again, to the attack on Christianity, euthanasia, to the disarmament of the people in their respective countries and more. All of these in fact which were similar circumstances to what the above-mentioned men of God were dealing with in their times of testing.